Doha, Qatar, August 15, 2016: Mall of Qatar, poised to be the country’s leisure, entertainment and shopping complex scheduled to open its doors on October 2016, has announced that Carrefour, one of its key anchor tenants, has completed 93% of the fit-out process of its 14,000 sq. meter store. Other retailers are following suit, as timelines are being met in anticipation of the October 29 Mall of Qatar soft opening date. 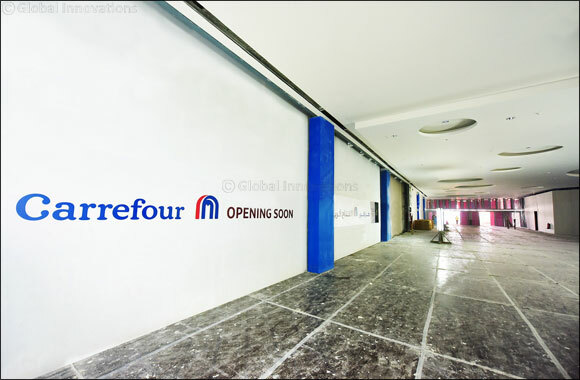 Carrefour’s first “Mediterranean concept store” in the Middle East, will offer Qatari shoppers unbeatable value for money with a vast array of products whilst introducing a unique shopping experience. 'We believe in the country's National Vision 2030, and of course, development of this area is key for Carrefour in the medium- and long-term,' he concluded. Mall of Qatar will be an entertainment destination premiering the world’s first resident troupe, performing mall wide entertainment and custom developed live shows on a 360 degree multi-lift rotating festival stage with theatrical sound, lighting, and animated water features. “The enthusiasm amongst our stakeholders to uphold their impeccable standards when it comes to maintaining timelines for the Mall of Qatar opening is truly inspiring. We are witnessing a number of retail spaces already in the final stages of fit-out, and we are proud that Carrefour is bringing its unprecedented concept to the region as part of Mall of Qatar,” said Rony Mourani, Mall of Qatar General Manager. Expected to receive a footfall of 20 million customers annually, the Mall of Qatar includes 500 shops including over 100 F&B restaurants and 7,000 underground and surface car parking spaces. The Mall’s 19-screen Cineplex will include the latest 4D projection technology screen and the newest IMAX 3D laser projection system in its largest format worldwide, 7 VIP screens on 3 levels, a 8 lane bowling alley and in-theatre gourmet food service, with a Family Entertainment Complex spread over 16,500 sq. m of multilevel entertainment for children and adults as well as a 5 star luxury hotel, part of Curio, a Collection by Hilton.